SUITABLE FOR ALL: Perfect for artists, illustrators, architects or hobbyists! 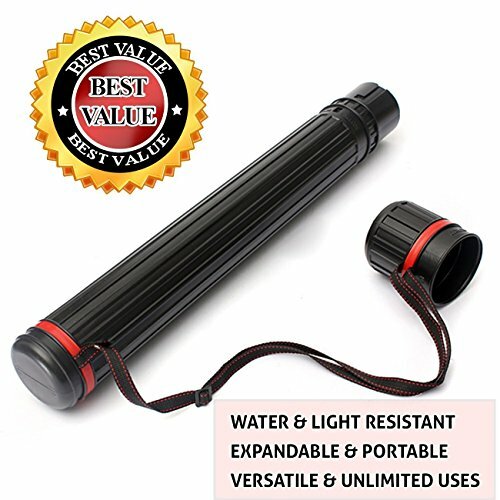 DEWEL Expandable Storage Tube is made of high quality durable and sturdy plastic, which is waterproof and light-resistant. The telescoping carrying case could expand from 24" up to 40" with adjustable interlock, and it has adjustable shoulder strap allowing for easy mobility and transportation. The Plastic Tube could be used for storing/ moving/ transporting/ travelling/ carrying art works/ documents/ posters and so on. 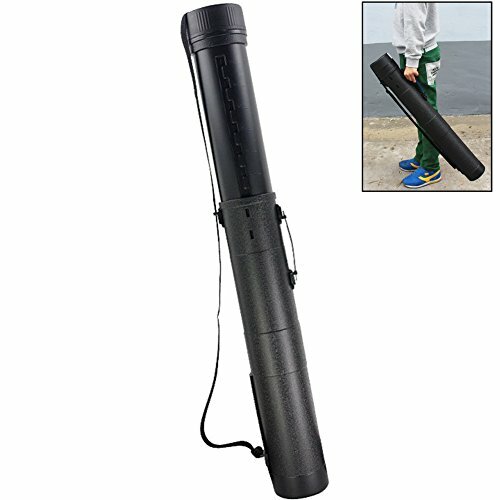 Telescoping carrying case could extend from 24 inches to 40 inches in length, and the diameter is 3.15", so handle various poster dimensions. 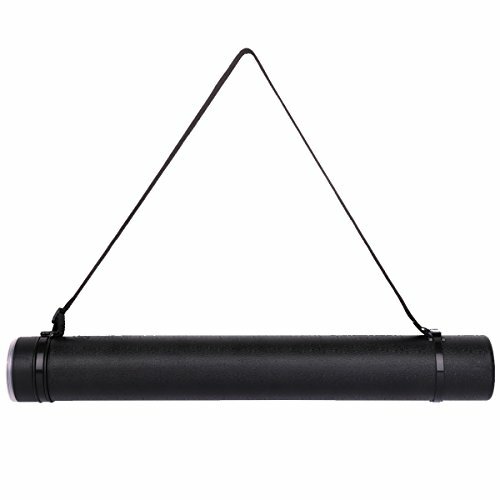 Easy Interlock Design: The tube could be adjusted to 10 different lengths, easily and firmly lock your favorite poster in the tube case safely. This telescoping document carrier keeps your posters, artwork, and documents from becoming bent or creased while you're on the go. 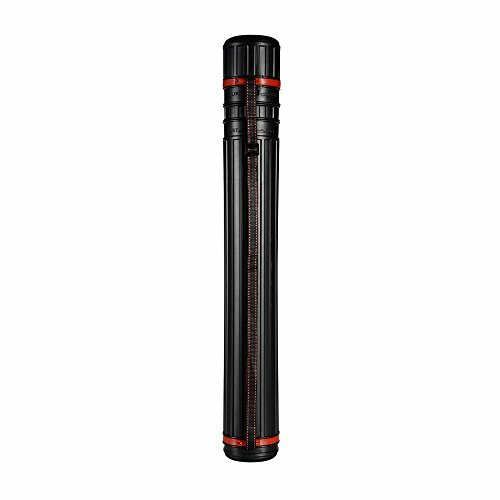 Waterproof, hard, durable storage tube leaves your mind at ease when traveling with precious documents or art. 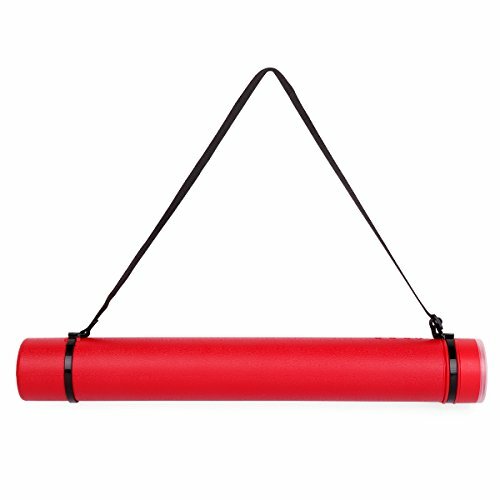 The adjustable shoulder strap makes it easy for anyone to carry this poster transport tube. 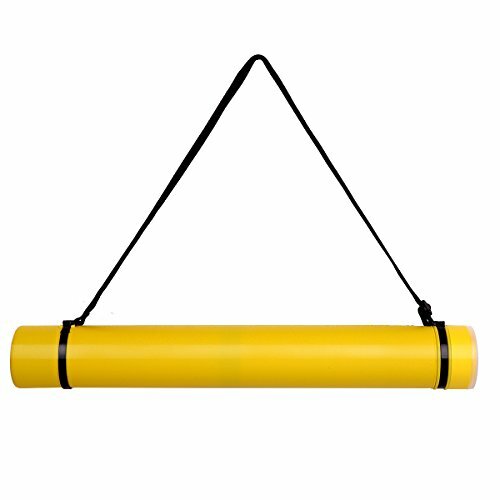 AMAZING ONE OF A KIND TUBE STORAGE HOLDER FOR STUDENTS, PROFESSIONALS & ADVENTURE LOVERS! This fully expanding and adjustable tube holder is a versatile piece of accessory you won't be able to do without once you start using it. It will become your constant companion be it for serious pursuits or leisure activities. 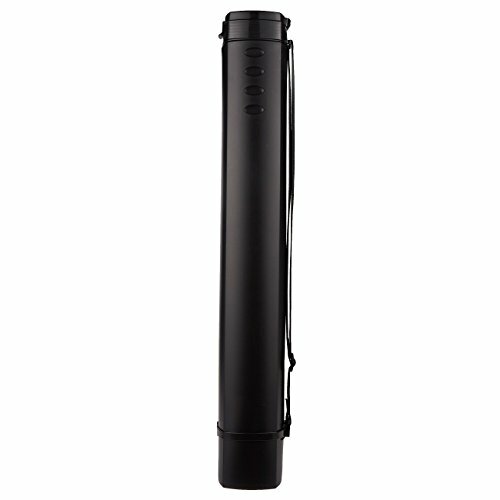 This 24-inch product easily transforms into a 42-inch holder for increased capacity as and when required. Simple to use and expand, it also comes with an adjustable shoulder strap for high portability. It is PERFECT for carrying your blueprints, documents, artwork, drawings, photo prints, maps, and everything else that you need to carry safely when you are on the road. However, this is not all! Are you a sports enthusiast or perhaps an avid outdoors person who loves angling? Then, this top-of-the-line tube holder is just the thing you need to hold your arrows or fishing rod and carry them safely. The scientifically designed shoulder strap is extra long. It will keep you comfortable even when tube is loaded or remains fully extended. 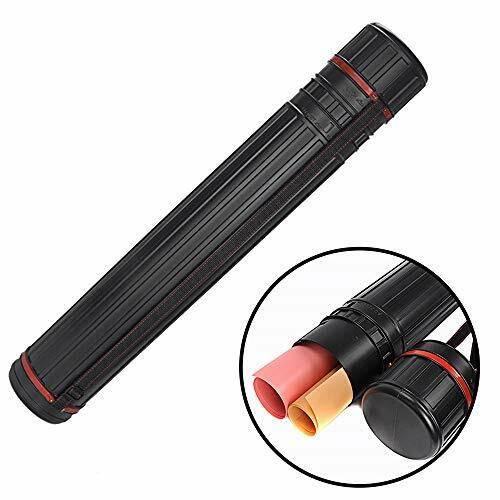 Keep important documents and artwork fully protected come rain or shine From students to professionals and adventure lovers, this one of kind tube holder is for you. So, why wait any longer? Go ahead order this fantastic product TODAY...isn't this exactly what you have been looking for....CLICK on Add To Cart Button Above! WATER&LIGHT RESISTANT. Features safety lock with adjustable locking positions 4 further convenience. These unique transparent PVC mailing and storage tubes are designed for anything that can be rolled, including charts, maps, blueprints, and posters. One end cap is sealed closed and the other removable. Tubes are UV-protective, moisture proof, and have removable, adjustable shoulder straps. Shrink wrapped. Lead and phthalate-free. Transon art storage tubes, poster scroll tubes are suitable for blueprints, artworks, scrolls, documents, drafts, papers and stuff you want to fit in. Length : 20.4" extend to 40". Versatile functions, perfect for artist, architect, students, illustrators, hobbyist etc. Water-proof feature protects your stuff while transporting your stuff. Should strap to carry in your hands or on your shoulder. Remember to extend the shoulder strap before you want to extend the tube. 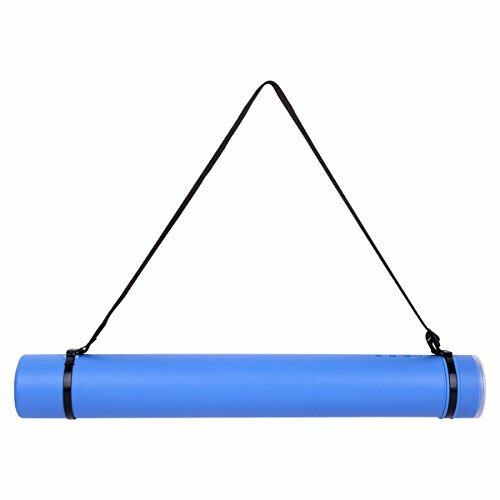 PLASTIC POSTER TUBE - The poster scroll tubes are suitable for posters, paper rolls, scrolls, artworks, documents, maps,sketching papers, architect papers, blue prints, anything that you want to roll in instead of folding. EXTENDABLE LENGTH - Telescoping tube . Simply twisting the tube will adjust the length from 20.4to 40. 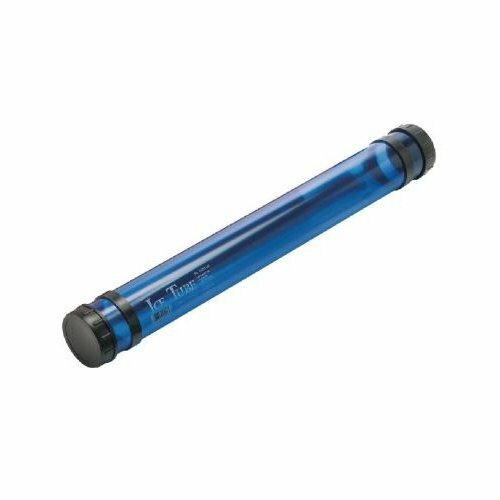 WATER-PROOF PLASTIC - Plastic of the poster tube protects your artworks, paper scrolls, documents, blue prints from water. 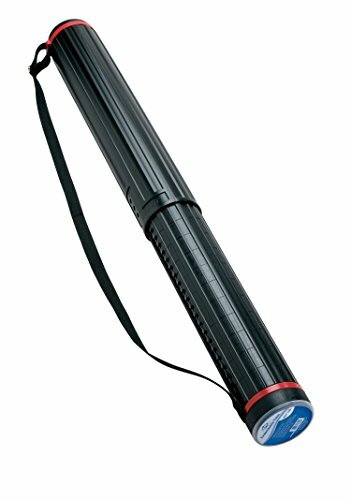 Telescoping carrying case could extend from 24 inches to 40 inches in length, and the diameter is4.7", so handle various poster dimensions. Blue printers, students, architects, and others will each have a use for this durable, reusable tube. The heavy-duty wall construction and the tightly fitting end caps make artbin the choice for the storage, protection, and transportation of art and design materials. The unique feature of the at60t is its telescoping range from 34-inch-60-inch, locking at the desired length. Brand: Precision Cardboard Tubes | Manufacturer: Precision Cardboard Co.
Made of durable black plastic, tube is water-resistant. Ideal for storage, protection, and transport of documents, artwork, prints, posters, and more. Expands from 30 inches to 45 inches in 14 locking 1 inches increments with a 4 1/4 inches inside diameter. Includes removable, adjustable shoulder strap. 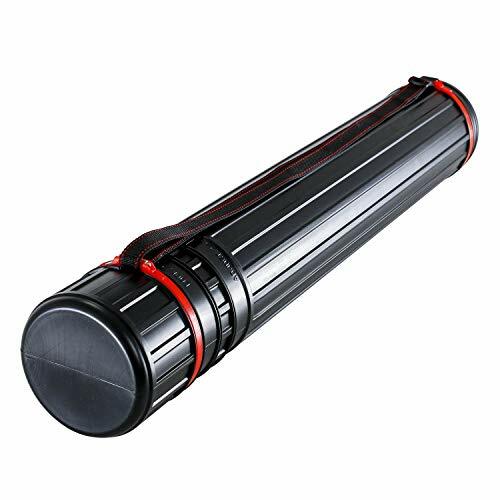 ORDER NOW TO AVOID DISAPPOINTMENT 1 This Is An Ideal Document Tube To Protect Your Important Papers -Secure Cap So Your Documents Are Kept Safe -Made From Durable Sturdy Plastic - Great for larger posters and Comic Con purchases to prevent damage or creasing. -Get you favorite comic book hero picture home in mint condition -Light weight and Water Resistant -Great gift For the New College Student -Strong Enough To Carry some Golf Clubs, Camping Equipment, Sports Equipment or Crafting Items 2 Convenient Ways To Carry Your Document Tube -Strong adjustable shoulder strap securely attached at both ends by fastenings so you never lose the end cap - Handle allows you perfectly balance the carrier in your hand making it easier to carry When only the best will do, this is the document carrier you need. Click the button above to place your order. Secure cap so your documents are kept safe with both carry strap and handle, easy to carry. Water-resistant durable sturdy plastic which will not collapse for extra protection against damage, protects materials against fading from exposure to sun light. 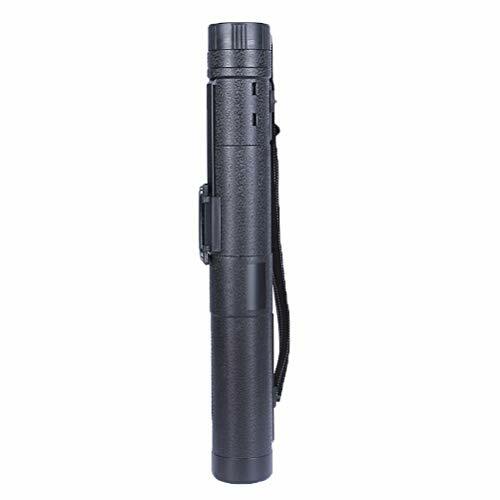 Firm telescopic locking mechanism keeps the drawing tube at your chosen length. anything from 30 inches to a massive 52 inches(77-132cm). Wider Diameter - 4.2 narrowest internal section-holds multiple drawings, artworks, maps - great present for college student artist. Storage tube has unlimited uses, such as storage for: posters, blue prints, maps, documents, large photo prints, drawings, artwork, arrows, fishing rods, drum sticks, or whatever else you can imagine. 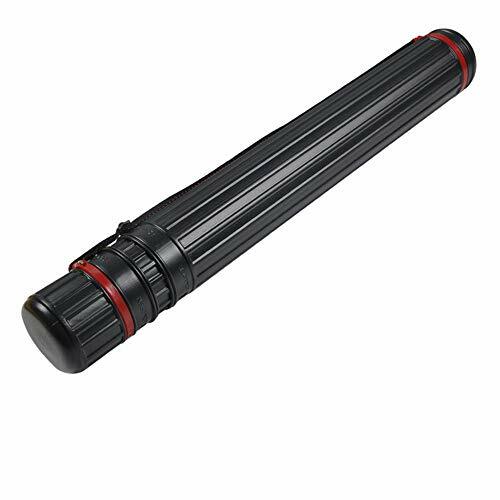 Black Plastic Telescoping Document Poster Tube with 3" diameter that expands from 24.5" up to 42"
Storage tube has various uses, such as storage for: posters, blue prints, maps, documents etc. Meet 2018 LAP S/S Kang Daniel's Pick Edition! 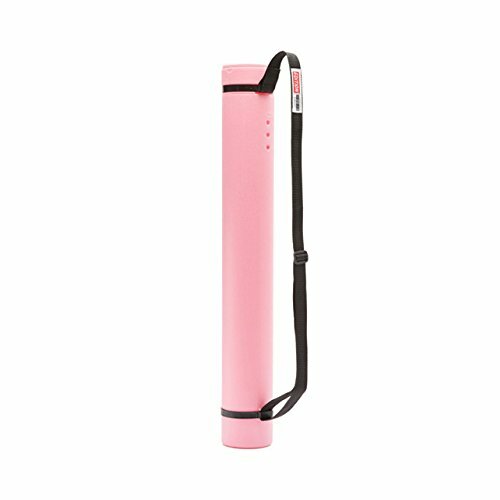 The Edition Poster Tube Protect your posters and art projects from the rain and getting ruined Material : Polyurethane Available in color pink Size ( length*width*height) : 8.5cm*8.5cm*65cm Keep your posters and projects safe in this Kang Daniel's Edition Poster Tube. It is perfect to carry around and will also complete your outfit! 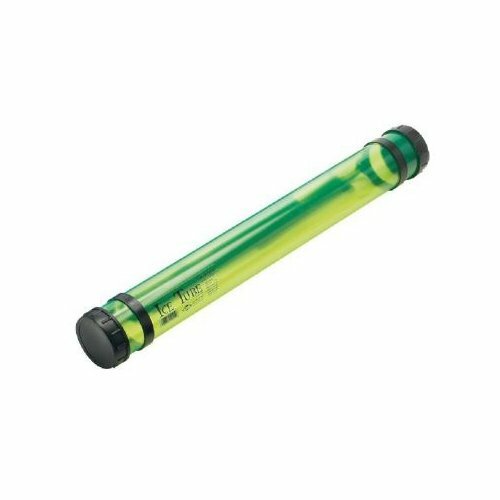 This tube is ideal for the storage, protection, and transport of documents, artwork, prints, posters, and more. Features a clear plastic cover with replaceable document identification pad inside. Expands from 26 inches to 43 3/8 inches in 24 locking 3/4 inches increments with a 3 3/4 inches inside diameter. Tube includes adjustable 42 inches shoulder strap. Expands from 26 inches to 43 3/8 inches in 24 locking 3/4 inches increments with a 3 3/4 inches inside diameter. Tube includes adjustable 42 inches shoulder strap. Telescoping tube. Adjust the length from 30.31 inch/77cm to 53.15 inch/135cm. Plastic of the poster tube protects your artworks, paper scrolls, documents, blue prints from water, dust or sun light. 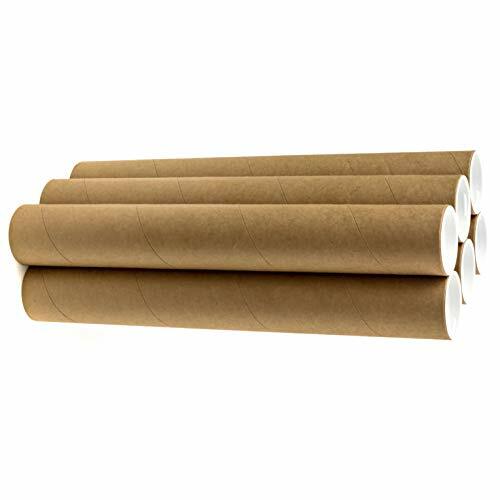 The poster scroll tubes are suitable for posters, paper rolls, scrolls, artworks, documents, maps,sketching papers, architect papers, blue prints, anything that you want to roll in instead of folding. Suitable for art students, architects, designers, artist. Diameter: 4.33 inch/11cm. Length: 30.31 inch/77cm. Expandable length: 53.15 inch/135cm.